Los Angeles – The price of gold closed higher at $1206 an ounce on Friday gaining 2.1 percent for the week. Silver ended the week at $18.50 an ounce, up 2.55 per cent. This followed Ben Bernanke’s assessment to Congress that the economic outlook was “unusually uncertain.” On Monday Bernanke said the Fed is ready, should the economy “need it,” to supply even more liquidity. China announced that it will let more banks import and export gold and further open trading to foreign entities as China’s demand for gold bullion continues to increase. China’s central bank is directing its banks to extend credit to producers of both gold and silver bullion, and to Chinese businesses seeking overseas acquisitions in precious metals. Analysts believe China is willing to exchange upfront development capital for a steady stream of imported gold and silver bullion. George Milling-Stanley, of the World Gold Council, said these latest steps “are extremely encouraging and seem certain to lead to increased gold demand in a country that has recently been contending with India for position of the largest consumer of gold in the world.” Russian premier Vladimir Putin has ordered a halt on all exports of wheat and other grains starting August 15. His actions raise the stakes in the crisis over dwindling wheat supplies. The fear of deflation could play a significant role in determining the direction of both gold and the U.S. dollar in the days ahead. Many investors have begun to speculate that deflation, not inflation, is the bigger threat to the global economy. Fed Chairman Bernanke has already said he is prepared to print more money if the need arises. 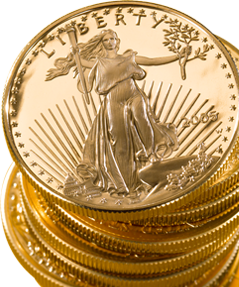 buy gold buy gold bullion buy gold coins gold bullion gold coins invest into gold.